Someone Is Out There. Watching Her. Waiting. Blacklisted in the photography business over a controversial shot, Avery Tate answered an ad for a crime-scene photographer. She expected to be laughed at, but crime-scene analyst Parker Mitchell hired her outright--and changed her life. But six months ago, when her feelings for Parker became too strong, she left his employ to sort out her heart. Now, for the first time, Avery is facing the world that rejected her to attend the gallery opening of a photography exhibit for which her friend modeled. But the only image of her friend is a chilling photo of her posing as if dead--and the photographer insists he didn't take the shot. Worse, her friend can't be found, and so Avery immediately calls Parker for help. As Avery, Parker, and their friends in law enforcement dig into the mystery, they find themselves face-to-face with a relentless and deadly threat. Nikki Boyd's flight into Nashville was routine--until the crash landing at the airport. When the dust settles, Nikki discovers that the woman who had been seated next to her on the plane is missing--and no one will admit she was ever there. When she learns that Erika Hamilton had been flying to Nashville with an air marshal as a key witness in an upcoming grand jury trial, Nikki wonders if her disappearance from the crash site means she's running from trouble--or straight into it. Before Nikki can even see her family, she and her team are pulled into a missing persons case where the motives are as unclear as the suspects. When Deputy Sam Brooks commits to something, nothing can sway him--not just on the job but in his private life. He's the one who stuck around to take care of his mother after his father's accidental death. And he's the one--perhaps the only one--who believes Sierra Rose is the perfect girl for him. Safe, practical, and organized, she's nothing like her hippie, impulsive, bleeding-heart sister, Willow. Willow, however, has been in love with Sam Brooks for as long as she can remember. But she wants her sister to have a happy ending. Besides, Willow has other things to focus on--namely, nabbing the job of her dreams. Best thing for her to do is to purge Sam from her heart. Expedition: Still Life Tour ~ Guest Post by Dani Pettrey + Giveaway! Thanks so much for joining me on Melanie’s wonderful blog for the fifth stop on my Expedition: Still Life Tour. If you aren't familiar with this exciting blog tour, or the fabulous grand prize you can win by taking part in it, please visit Expedition: Still Life's main contest page for all the details. Today’s stop is the Port of Baltimore. Baltimore has an amazingly rich maritime history and the Port of Baltimore plays a key role in Still Life. 1. The port’s official name is The Helen Delich Bentley Port of Baltimore. It was renamed for Helen Delich Bentley during the 2006 celebration of the port’s 300th birthday. Helen was an amazing lady, and I’m honored to say she was a fan of the Alaskan Courage and the beginning of the Chesapeake Valor series prior to passing late last year. If you’re ever interested in learning about this incomparable lady and the Port of Baltimore, be sure to check out Helen’s book Great Port of Baltimore Its First 300 Years 1706-2006. 2. The Port of Baltimore started in the 17th century as an access point for Maryland’s tobacco trade with England. 3. The Port of Baltimore became famous for its shipbuilders. They gained renown for their Baltimore clippers as well as the Continental Navy. 4. Baltimore is home to the USS Constellation. This ship is the last Civil War vessel afloat. It was built in 1854 and is the last all-sail warship built by the US Navy. 5. 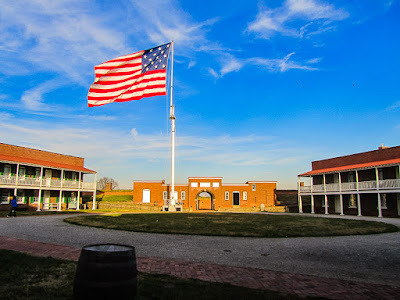 Baltimore’s Fort McHenry defended the Baltimore harbor during the War of 1812 and is the birthplace of the American National anthem, written by Francis Scott Key. 6. Baltimore’s waterfront neighborhood of Fell’s Point was the second largest point of immigration after Ellis Island. I love driving home past the port, seeing the ships and knowing the rich history of my home state. To also be entered to win a Amazon gift card, just answer the question below. After answering the question, visit http://danipettrey.com/stilllife-contest/ to see all the other stops and giveaways on this tour. Merchant ships aren’t the only ships to travel in and out of Baltimore’s port these days. Over the last few years, Baltimore has become a key cruise port, leading cruises through New England, Canada, and down to the warm Caribbean. Have you ever been on a cruise? If so, where? If not, what would be your top cruise destination? Praised by New York Times bestselling author Dee Henderson as “a name to look for in romantic suspense,” Dani Pettrey combines the page-turning adrenaline of a thriller with the chemistry and happy-ever-after of a sigh-worthy romance novel. Her novels stand out for their “wicked pace, snappy dialogue, and likable characters” (Publishers Weekly), “gripping storyline[s],” (RT Book Reviews), and “sizzling undercurrent” of romance (USA Today). Dani’s adventure-focused Alaskan Courage series climbed the CBA bestseller lists, with Submerged staying in the top twenty for five consecutive months. The five-book series also won multiple awards, including the Daphne du Maurier award, two HOLT Medallions, and Christian Retailing’s Best Award, among others. 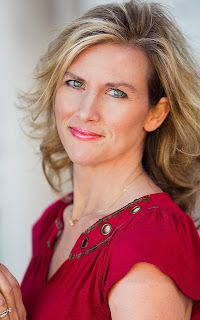 She turns her attention to crime and law enforcement in her home state of Maryland in her new Chesapeake Courage series, starting with Cold Shot, which Library Journal called, “a harrowing and thrilling ride.” For more information about her novels, visit www.danipettrey.com. --Melanie here. Dani is giving away an Amazon gift card here! To enter that giveaway, use the Rafflecopter form below so we have a way to contact you should you win. :) Mandatory entry is to comment on this post with your answer to Dani's question (above). Happy entering and thanks for stopping by! Be sure to visit http://danipettrey.com/stilllife-contest/ to check out the rest of the tour. How to enter: Sign into the Rafflecopter form below (it might take a moment to load) and submit each entry you complete. Commenting alone will not get you entered – you must click enter on the form. Open only to those who can legally enter. Winning entry will be verified prior to prize being awarded. No purchase necessary. You must be 18 or older to enter or have your parent enter for you. The winner will be chosen by Rafflecopter and announced here as well as emailed and will have up to one week to respond or a new winner will be chosen. This giveaway is in no way associated with Facebook, Twitter, Rafflecopter or any other entity unless otherwise specified. The number of eligible entries received determines the odds of winning. I am not responsible for any packages lost or damaged in the mail. VOID WHERE PROHIBITED BY LAW. From bestselling author Kathleen Y’Barbo comes Sadie’s Secret, the third book in The Secret Lives of Will Tucker series. These historical novels capture the romance of the South mingled with adventure and laced with secret identities and hidden agendas. Louisiana, 1890―Sarah Louise “Sadie” Callum is a master of disguise, mostly due to her training as a Pinkerton agent but also from evading overprotective brothers as she grew up. When she takes on a new assignment with international connections, she has no idea her new cover will lead her on the adventure of a lifetime. Undercover agent William Jefferson Tucker is not looking for marriage―pretend or otherwise―but his past is a secret, his twin brother has stolen his present, and his future is in the hands of the lovely Sadie Callum. Without her connections to the world of upper-crust New Orleans, Jefferson might never find a way to clear his name and solve the art forgery case that has eluded him for years. Only God can help these two secret agents find a way to solve their case and uncover the truth about what is going on in their hearts.